At Fast Cleaners Hammersmith Fulham we handle all matters cleaning. We understand that doing a good job of cleaning requires a lot of time and patience. It is backbreaking work to reach under cabinets and shelves and then stretch over to the highest points of the house. We offer cleaning services for your home. You will explain to us the scope of the work you want done and we will comply. Any special instructions should be given in advance so that we do not end up with a messy situation. We will move furniture and appliances if required just to make sure that no spot is missed. All heavy lifting will be up to us so you do not have to worry about it. We are available to clean on a onetime assignment but regular bookings can also be made. You can sign up for regular cleaning and continue to enjoy the quality of our cleaning services. Offices need cleaning as well and we can do this at the most convenient time for your company. You will come back to a clean, tidy and fresh smelling office thus giving you the proper environment to work. 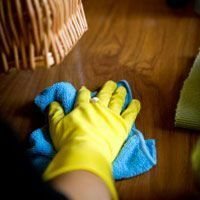 This will in turn give you more motivation to complete your tasks for the whole week until the next cleaning session. Carpets are a heavy task to accomplish on your own. We use methods that are non-messy to clean your carpet and bring it back to its old vibrancy. Steam cleaning and dry cleaning will remove all possible stains and save you the cost of replacing the carpet. All types of carpets can be cleaned thoroughly to achieve great results. As high as they are windows still need cleaning. We clean windows professionally so that nothing blurs your view of the outside. We use cleaning products specifically made for windows so that they can sparkle as they should. Clean windows will let in a good amount of natural night thus brightening your space. Our cleaning services are all round and we are able to meet your cleaning needs. We provide good quality cleaning that will leave you satisfied and impressed. Our cleaning prices are also very reasonable. We have a team of skilled professionals that know their work well so they will not overlook any detail. Any amount of work can be done and our workforce is enough to cater to your needs. If the workload is extensive more people will be added so as to complete the work in the shortest time possible but still achieve great results. Training is also carried out constantly among staff. You are therefore assured that your space will not be cleaned using outdated or substandard methods just to reduce costs. We believe in delivering quality to our clients and this means maintaining quality throughout. Our work speaks for itself and our clients can testify as well. Be sure to try out the professional cleaning services at Fast Cleaners Hammersmith Fulham and experience a whole new dimension of clean. Need more details about our professional cleaners, phone us now on 020 3322 7168.